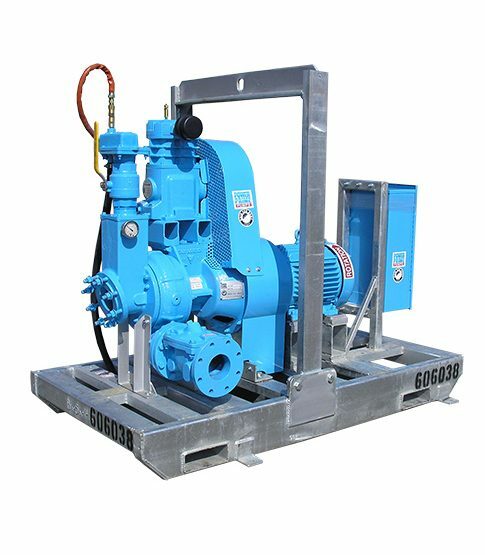 The 4” suction x 4” discharge self-priming centrifugal DV100E electric trash and sewage pump provides up to a maximum of 700 gallons per minute pumping and up to 75 feet of head. This pump is usually mounted on a skid and features the standard PowerPrime Clean Prime Venturi priming system which allows it to run continuously, unattended and even run dry. Suction lift up to 28ft.